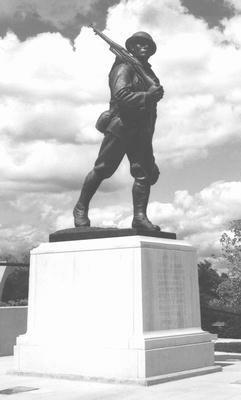 Standing figure of a World War I soldier returning home from victory. His proper left leg is forward and he looks to the proper right. He holds a rifle in his proper right hand and it rests on his shoulder. His proper left hand holds a German soldier's helmet. 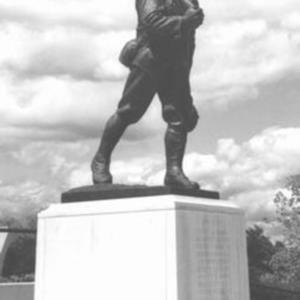 The statue was modeled after Martin Patrick Coady, an Ohio State University architecture student who was a 37th Infantry Division veteran of World War I. The dimensions of the bronze sculpture are approximately 9 ft. x 3 ft. 6 in. x 4 ft. 9 in. 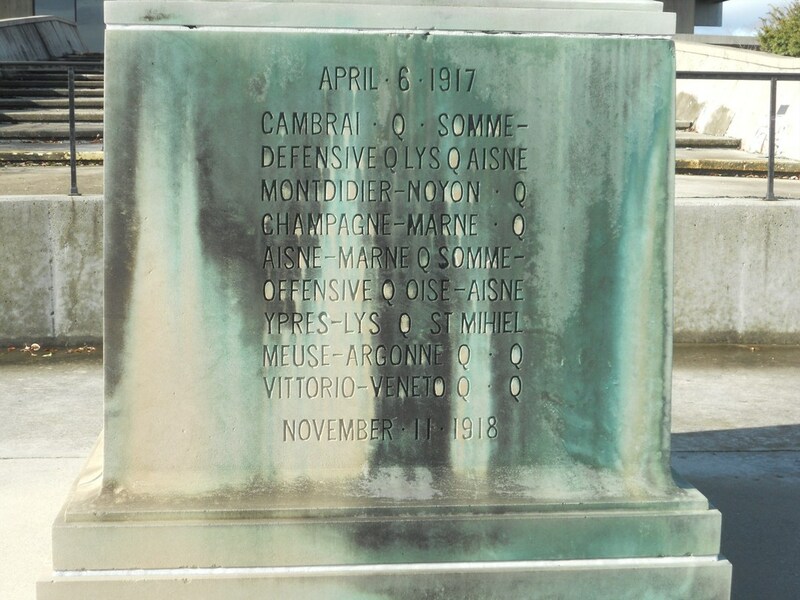 The dimensions of the concrete base are approximately 6 ft. x 5 ft. 9 in. x 7 ft. 4 in. 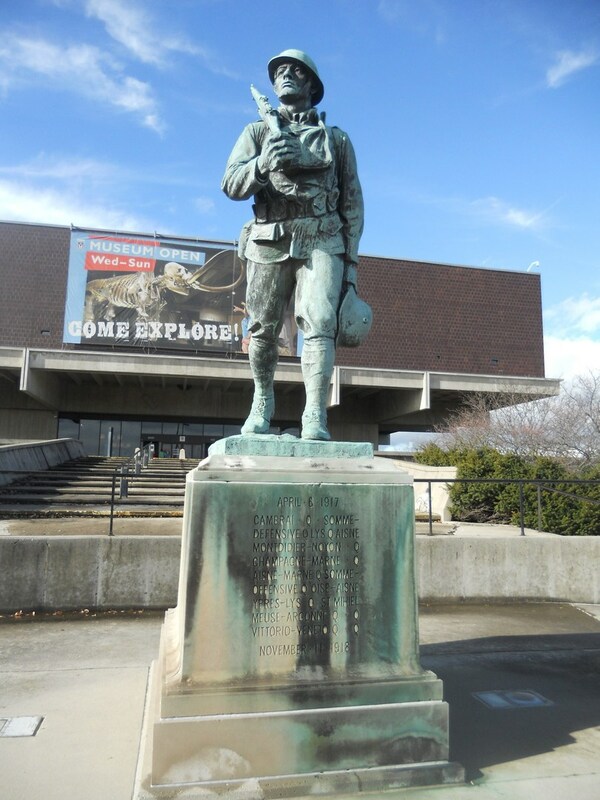 To visit the Doughboy, you will need to climb up a large set of outdoor stairs near the ground floor entrance to the Ohio Historical Center. 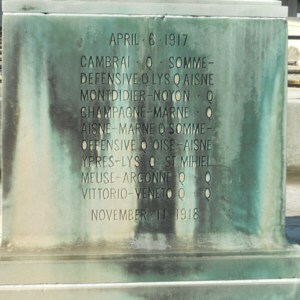 : Bruce Wilder Saville, “Victorious Soldier,” Ohio Outdoor Sculpture Inventory, accessed April 20, 2019, http://oosi.sculpturecenter.org/items/show/732.